Headspace have confirmed that they’ll release their second album on February 26, 2016. All That You Fear Is Gone sees Threshold frontman Damian Wilson and Ozzy Osbourne keyboardist Adam Wakeman reunite for the follow-up to 2012’s I Am Anonymous. The pair are joined by guitarist Pete Rinaldi and bassist Lee Pomeroy, who’s known for his work with artists including It Bites, Rick Wakeman and Steve Hackett. 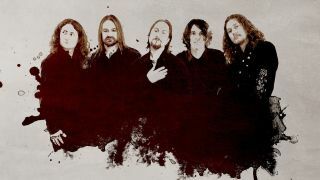 New drummer Adam Falkner has also been confirmed in the lineup. Wilson says: “The conforming individual represented in the first album that breaks away, is reflected in All That You Fear Is Gone. Free thinking, fighting against natural grouping, what appears as destructive rebellion is in fact evolution. Written to make the listener think, whilst capturing the ear with complexity and simplicity combined.